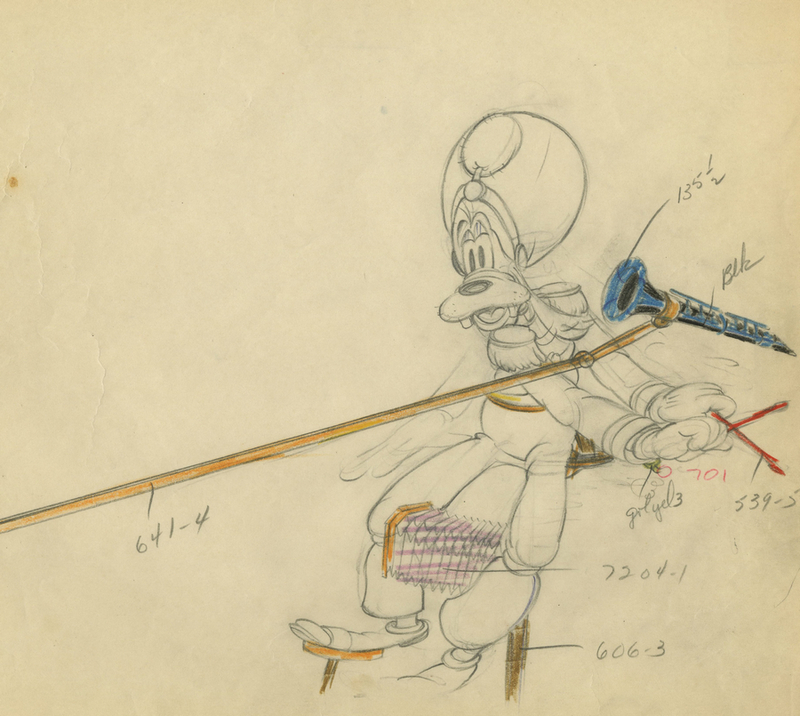 This is an original production drawing from the Walt Disney Studios production of Mickey's Amateurs (1937). 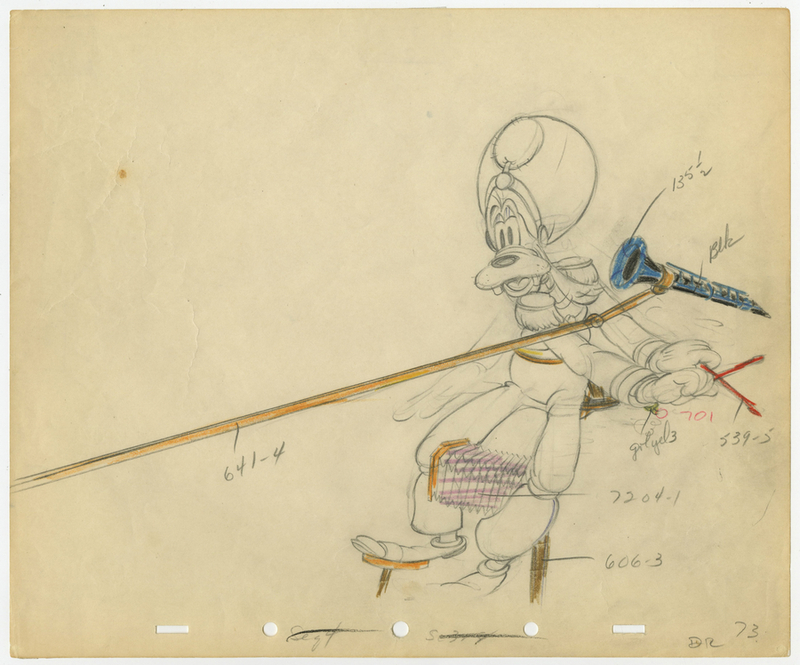 This drawing features Goofy with his one man band, and was created at the studio and used during the production of the short directed by Pinot Colvig, Walt Pfeiffer, and Ed Penner. This scene was supervised by Art Babbitt. The overall measurements of the piece are 10" x 12" and the image itself measures 7.5" x 11.5". The drawing is in great condition and also has handwritten notes and colored pencil indicated the cel paint colors for the paint department.